Lexus has been named the top automotive brand in the J.D. 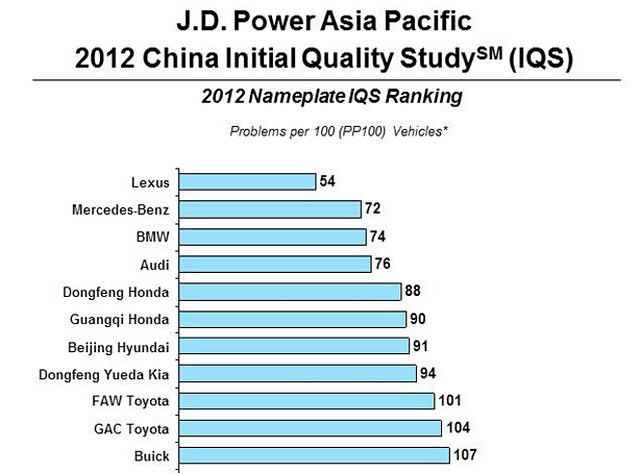 Power 2012 China Initial Quality Study. With only 54 PP100, Lexus owners were nearly three times less likely to experience problems than the average car owner in China — it was another dominant performance for the brand, who also took top spot in the American & Japanese Initial Quality Study earlier this year.